Jarvis Heat and Air, LLC was established in 2010 by Rob Jarvis. Rob is a graduate of Union County High School and Cam-Tech School of Contracting. A small county with big values is where he grew up. Rob started his career in 1988 working with a private property management company where he was introduced and trained on small HVAC systems and refrigeration units. He gained lots of valuable hands-on experience throughout his time with this company. However, after ten years performing service for private property management he decided to move to a national heating and air company. There, he worked in homes and businesses all over North Florida. A few of these customers are Fairfield by Marriott, University of Florida, Lake Butler Hospital, Fallgatter Law Firm, among many others. After working for other HVAC companies for a total of 12 years, Rob wanted to start his own company. He knew that he could provide the best HVAC service in this area. Also, he enjoys being a big part of the customers’ satisfaction, knowing that having happy customers is the key to a successful business. He believes in building strong business relationships with customers, having some as long as 20 years or more. Rob is so dedicated to the business that he personally answers and over-sees all emergency cases. If there is ever an emergency case, know that your call to the 24-hour emergency number will be answered promptly by Rob himself. Rob also does not charge any over-time service fees. He believes you shouldn’t have to pay an arm and a leg just because things happen at inconvenient times. Rob has built his company from the bottom up. Building his crew, as well as personally over-seeing, and being involved with all aspects of the business. Jarvis Heat and Air was founded on good old-fashioned hard work and dedication. He has taught his entire crew to prove themselves daily, as well as the value of hard work and integrity. In addition to working hard, Rob is also a family man. He enjoys spending time with his wife Marlena of 25 years, as well as his 3 children, Tianna, Robby, and Keaton. Jarvis Heat and Air is also involved in mission work both locally and foreign. We regularly donate time and materials to back to school events as well as sponsorship of underprivileged children and little league sports teams. Jarvis is a proud provider of service and installation to any and all North Florida area’s residential and commercial HVAC needs. 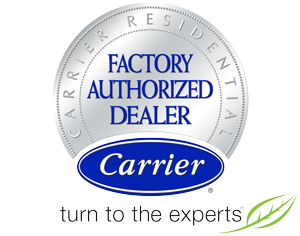 We are EPA Certified and in compliance with the Clean Air Act of 1990.